The most popular guides on this website deal with dual booting Ubuntu and Windows. In fact I have written a whole heap of guides showing how to dual boot various systems as shown by the list below. This time I am going to show you how to dual boot Windows 10 and Linux Mint on machines with the Unified Extensible Firmware Interface (UEFI). The time it takes to install Linux Mint alongside Windows 10 depends on how fast your internet connection is as you will need to download an ISO file which is around 2 gigabytes in size. The actual installation will take around 30 to 45 minutes and this includes the time it takes to create the bootable USB drive. (It doesn’t include the time it takes to backup your machine). This is the most important step during the whole procedure. It is a little bit time consuming and you will need a device to backup your computer to but the benefits totally outweigh the cons. With a good backup you can get straight back to the point you were in prior to following this guide. This will save you money should you accidentally kill Windows and lose your recovery partition. Consider the backup as your insurance policy. In order to install Linux Mint alongside Windows 10 you need to make some space available on your hard drive. Traditionally Windows installations take up a vast amount of disk space. You can safely shrink the Windows partition leaving enough space for both Windows 10 and Linux Mint. Follow this guide which shows how to shrink the Windows partition. This is a very important step. Do not skip it. How to create a Linux Mint USB drive using Windows 10. 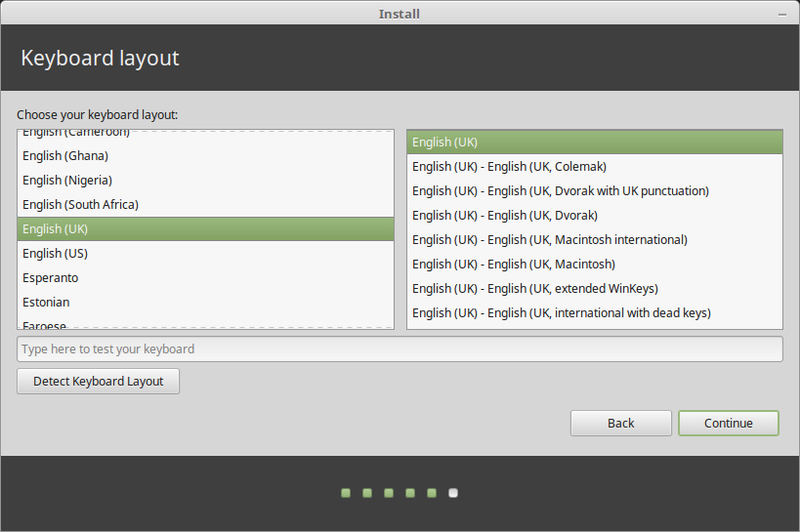 The installer will start and you will be asked to choose your installation language. Now personally I would choose the language that you are most fluent in otherwise you are really setting yourself an extra challenge. If you have followed my guides for installing Ubuntu then most of these steps will be familiar to you but there are some subtle differences which I will come to shortly with regards to partitioning. 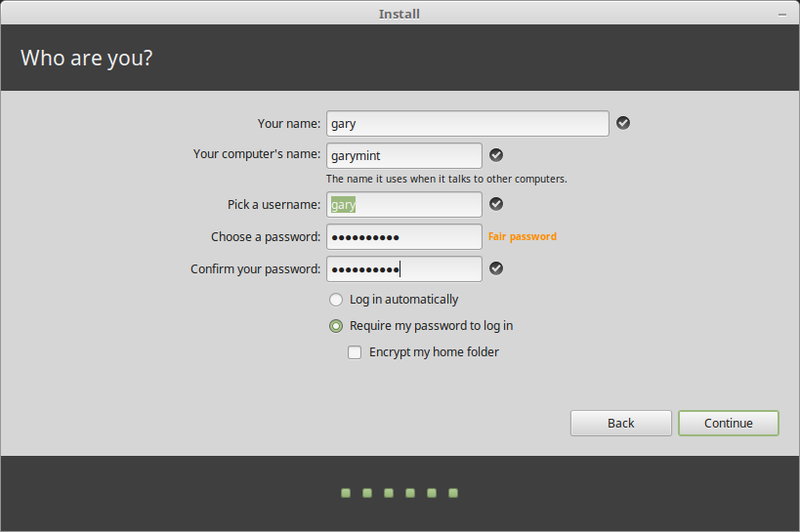 Linux Mint no longer asks you to connect to the internet and it doesn’t ask whether you want to update your system during the installation. You are however still asked whether you want to install third party software for graphics and WI-FI hardware, Flash, MP3 and other media. I recommend checking this box especially if you have a modern computer as it will help to get your wireless and graphics cards working to their optimum. Check the box and click “Continue”. Another screen was removed from the installer. 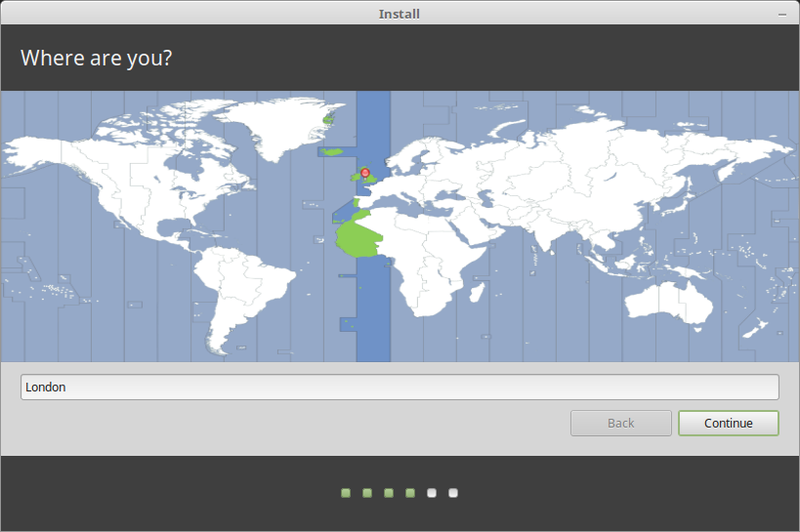 It used to provide a screen showing how prepared you are for installing Linux Mint. The reason the screen was largely pointless is that you don’t need to be plugged in if your computer happens to be a laptop which has enough battery power. 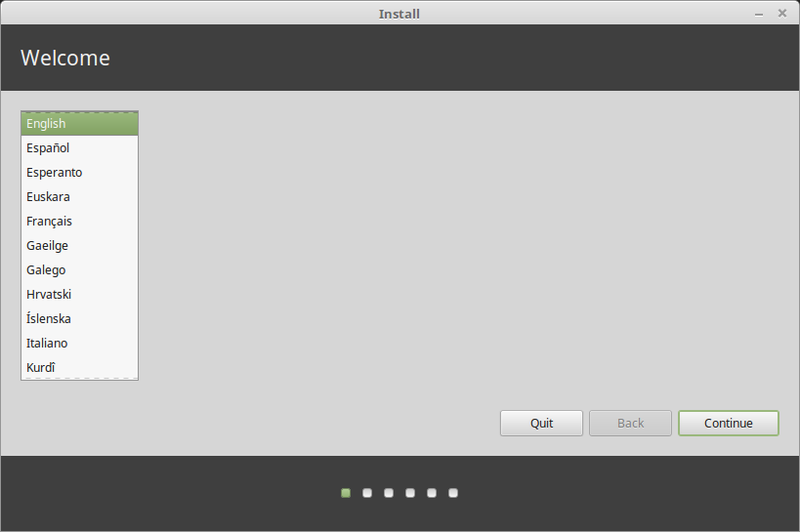 You didn’t need to be connected to the internet to install Linux Mint. Finally you needed realistically a lot more than 9.4 gigabytes of hard drive space. In reality a minimum of 20 gigabytes. So that has gone and instead you move straight to the installation type screen. I have received a number of comments on the Ubuntu dual boot guide stating that there is no option to install alongside Windows 10. Previously whilst trying to dual boot Linux Mint with Windows 10 on this computer there was no option to install alongside Windows. It only came with the option to erase the disk or to do something else. All fairly scary stuff. 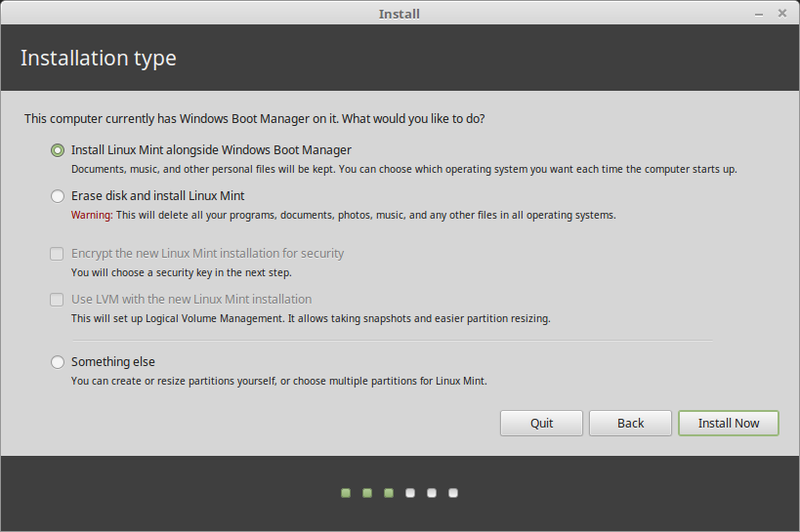 In Linux Mint 18 the installer does indeed show the “Install alongside Windows 10 boot manager”. If you get the install alongside Windows 10 boot manager, choose that option and click install now. Now skip to the section with the title “Confirm Changes To Disk”. If you don’t get the option to install alongside Windows 10 click on “Something Else”. You will now see a screen which shows your current disk layout. You will also see that I have highlighted a section of free space. The first thing to check is the drop down list at the bottom of the screen. Make sure it points to the partition with type EFI listed in the table above. The free space was created by shrinking Windows in a previous step. If you don’t see a section of free space, stop what you are doing and revisit the steps for shrinking Windows. With the free space line highlighted click on the plus symbol. 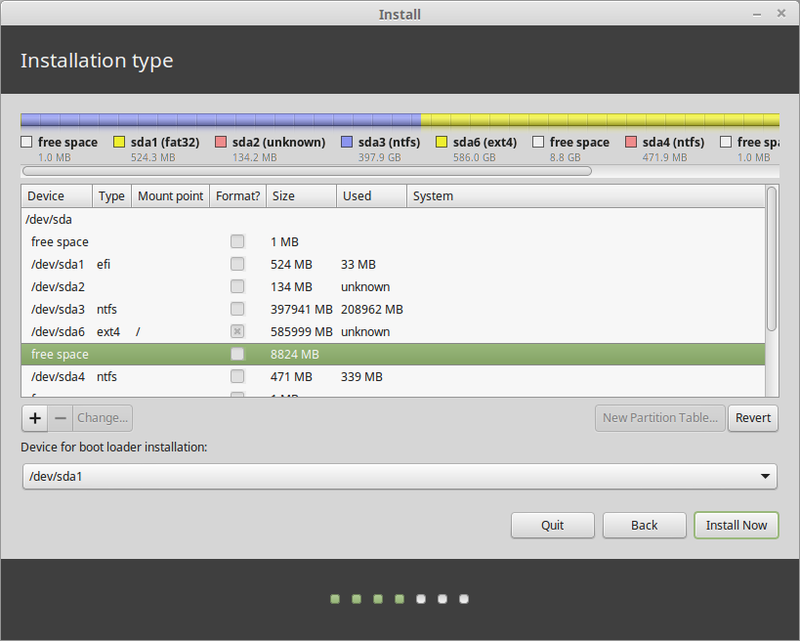 For this installation I am going to show you how to create 2 partitions. 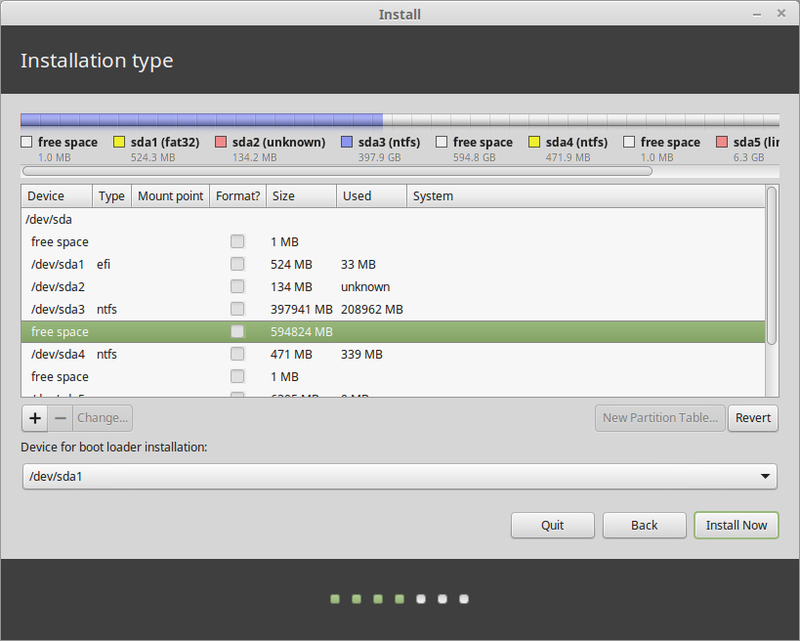 The first is the root partition and is where Linux Mint will be installed and the second will be the swap partition. The create partition screen shows the amount of free space in megabytes. You need to take away the amount of memory your computer has in gigabytes away from the size shown on your screen. Note that the size is shown in megabytes so you will need to convert from gigabytes to megabytes. This may sound confusing but if your computer has 4 gigabytes of RAM then you need to take 4000 away from the figure in the size box, if you have 8 gigabytes of RAM then you need to take 8000 away from the figure in the size box. 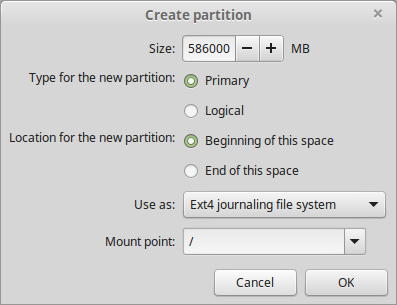 Make sure the type for the new partition is set to primary, set the location to the beginning of this space, select “EXT4” as the use as and change the mount point to a forward slash (/). You are basically creating a new primary partition with the EXT4 file system and setting the mount point to root. The partitioning screen will be displayed again. 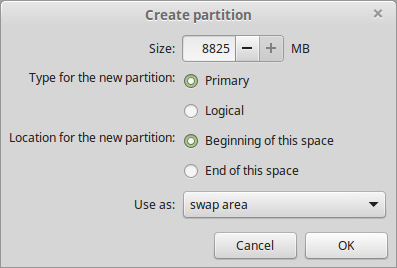 You should now see the new partition that you created in the previous step and there will still be free space. Click on the free space and click the plus symbol again. This time you will be creating a swap partition. Leave the size as the number displayed (i.e use the rest of the free space). Set the type to primary and leave the location as the beginning of the free space. Select “swap area” as the option for use as. A window will appear showing which partitions will be created. You will be pleased to know that the scary bit is now out of the way. Click where you live on the map. This is used to set your timezone. Choose your keyboard layout by selecting the language of the keyboard from the left pane and then the keyboard type from the right pane. Generally these are set for you already. Enter your name and give your computer a name. The computer name is how it will appear on a home network. Choose a user name and then choose a password. You will need to confirm the password. You can choose to login automatically but I highly recommend that you don’t do this. The default option is to require a password to login which is far more sensible. The final box allows you to encrypt your home folder. You can do this to keep your important documents safe should your computer fall into the wrong hands (i.e. thieves). However if you lose the encryption key then you won’t be able to access your documents yourself. It is up to you whether you tick this box or not. The installer will now start copying the files and installing them to your computer. When the process has completed you will receive the option to restart now or continue testing. You can now restart your computer making sure that you remove the USB drive after the computer has shut down. When the computer restarts you will receive a new menu with options to boot into Linux Mint or to boot into Windows Boot Manager. 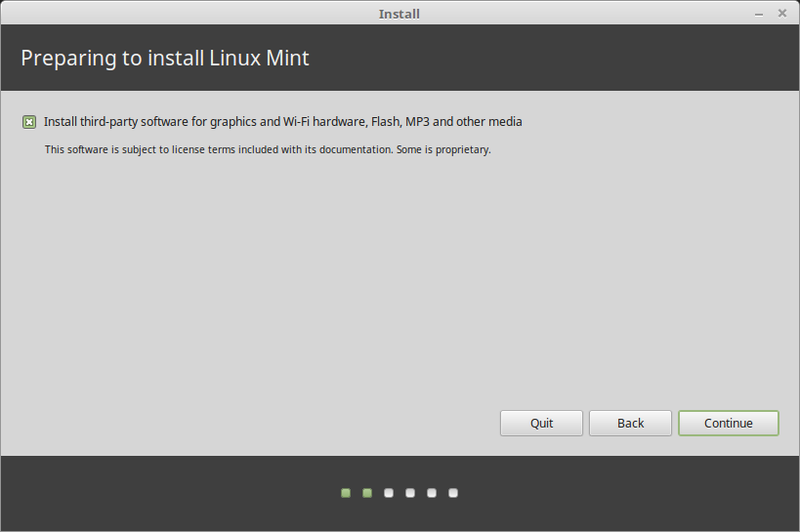 Try the Linux Mint option to make sure it works and then try the Windows option to make sure it works. If your computer boots straight back to Windows boot back into the live environment and use the following guide to set the correct UEFI boot order. The NVidia graphics issues which I reported previously have been fixed in Linux Mint 18 due to the more modern kernel. On modern computers with the latest Intel wireless adapters you might find that you can’t get a wireless connection. Another guide is on its way showing how to fix this issue. But Gary…. It boots straight to Windows!!!! If Linux Mint still will not boot after running EFI Boot Manager try reading this guide which aims to help with UEFI boot issues. Could you explain how to delete Linux from dual boot? You simply have to wipe the partition that contains Linux (at least, that's what I did when I had to reinstall). I guess you've found out by now, but maybe this will help someone else. I've launched Linux Mint 17 from a pendrive, then i have created a partition in ext4 with GParted (about 150 GB), then i installed Mint following instruction. Everything fine, no need of backup because i've NOT touched windows partitions. P.S, well, i've not touched OCCUPIED windows partition, just the free space in D disk (archive). hi Gary, thanks for this clear post. But now i think i ran into the Mint & NVidia graphics card issue. So i am looking forward to your next post on how to deal with this issue! p.s. is a dual boot of Mint & Windows on a SSD so much different from the above procedure? Is it safe to follow this tutorial with Linux Mint 18 (Sarah) or should we wait for a new tutorial from you? Hey Gary, I'm facing a problem in the installation. The installer says,"Unable to install grub /dev/sda This is a fatal error." Could you explain it what does that mean? and how to solve this error. There is no mention of preventing Windows 10 from preventing the USB drive from being read. I just wanna blow out windows and use Linux, but in my case, Windows 10 blocks that even with secure boot off. Just installed Mint 18 alongside Win10 on an HP Probook 11 G2. It HAD worked fine from the live DVD so rather than going the whole hog & overwriting windows I opted to install alongside. The laptop now won't start, not from the SSD or from the DVD or USB. Sticks at the HP logo – any ideas welcomed. Awesome guide! Do you by any chance have any idea what happens if I install mint alongside windows on my SSD, while having an HDD as well? (i have a classic setup of 1 ssd, where Windows are installed, and 1 hdd). I have heard that mint might erase your HDD completely. Is it true? Thank you for this clearly written guide. One question: what if your computer uses BIOS and does not support UEFI? Will this procedure still work? Thanks.